2. Коен Ц., Хрущев С. С. 1996. Спектральная характеристика продуктов фотоокисления хлорофилла в растворе и при фотоповреждении цианобактерии Anabaena variabilis // Физиол. раст. 43. № 2. 186—195. 3. Ackman R. G. 1969. Gas-liquid chromatography of fatty acids and esters // Meth. Enzym. / Ed. J.M. Lowenstein. Vol. 14. New York. P. 329—381. 4. Bigogno C., Khozin - Goldberg I., Boussiba S., Vonshak A., Cohen Z. 2002. Lipid and fatty acid composition of the green oleaginous alga Parietochloris incisa, the richest plant source of arachidonic acid // Phytochem. 60. 497—503. 5. Boussiba S. 2000. Carotenogenesis in the green alga Haematococcus pluvialis: cellular physiology and stress response // Physiol. Plant. 108. 111—117. 6. Cheng - Wu Z., Cohen Z., Khozin - Goldberg I., Richmond A. 2002. Characterization of growth and arachidonic acid production of Parietochloris incisa comb. nov (Trebouxiophyceae, Chlorophyta) // J. Appl. Phycol. 14. 453—460. 7. Cohen Z. 1999. Production of polyunsaturated fatty acids by the microalga Porphyridium cruentum // Production of Chemicals by Microalgae / Ed. Z. Cohen London. P. 1—24. 8. Cohen Z., Didi S., Heimer Y. M. 1992. Over-production of -linolenic and eicosapentaenoic acids by algae // Plant Physiol. 98. 569—572. 9. Cohen Z. 1990. The production potential of eicosapentaenoic and arachidonic acids by the red alga Porphyridium cruentum // J. Am. Oil Chem. Soc. 67. 916—920. 10. Hansen J., Schade D., Harris C., Merkel K., Adamkin D., Hall R., Lim M., Moya F., Stevens D., Twist P. 1997. Docosahexaenoic acid plus arachidonic acid enhance preterm infant growth // Prostaglandins Leukot. Essent. Fatty Acids. 57. 157. 11. Khozin - Goldberg I., Bigogno C., Shreshta P., Cohen Z. 2002. Nitrogen starvation induces the accumulation of arachidonic acid in the freshwater green alga Parietochloris incisa (Trebuxiophyceae) // J. Phycol. 38. 1—5. 12. Koletzko B., Braun M. 1991. Arachidonic acid and early human growth: is there a relation? // Ann. Nutr. Metabol. 35. 128—131. 13. Mendoza H., Martel A., Jimenezdel Rio M., Garcia Reina G. 1999. Oleic acid is the main fatty acid related with carotenogenesis in Dunaliella salina // J. Appl. Phycol. 11. 15—19. 14. Merzlyak M. N., Chivkunova O. B., Gorelova O. A., Reshetnikova I. V., Solovchenko A. E., Khozin - Goldberg I., Cohen Z. 2007. Effect of nitrogen starvation on optical properties, pigments and arachidonic acid content of the unicellular green alga Parietochloris incisa (Trebouxiophyceae, Chlorophyta) // J. Phycol. 43. N 4. (в печати). 15. Shifrin N. S., Chishlom S. W. 1981. Phytoplankton lipids: interspecific differences and effects of nitrate, silicate, and light—dark cycles // J. Phycol. 17. 374—384. 16. Stanier R. Y., Kunisawa M. M., Cohen - Bazir G. 1971. Purification and properties of unicellular blue-green algae (order Chlorococcales) // Bacteriol. Rev. 35. 171—201. 17. Thompson Jr. G. A. 1996. Lipids and membrane function in green algae // Biochim. Biophys. Acta 1302. 17—45. 18. Wang B., Zarka A., Trebst A., Boussiba S. 2003. Astaxanthin accumulation in Haematococcus pluvialis (Chlorophyceae) as an active photoprotective process under high irradiance // J. Phycol. 39. 1116—1124. 19. Watanabe S., Hirabashi S., Boussiba S., Cohen Z., Vonshak A., Richmond A. 1996. Parietochloris incisa comb. Nov. (Trebuxiophyceae, Chlorophyta) // Phycol. Res. 44. 107—108. 20. Wellburn A. R. 1994. The spectral determination of chlorophylls a and b, as well as total carotenoids, using various solvents with spectrophotometers of different resolution // J. Plant Physiol. 144. 307—13. 21. Zhekisheva M., Boussiba S., Khozin - Goldberg I., Zarka A., Cohen Z. 2002. Accumulation of oleic acid in Haematococcus pluvialis (Chlorophyceae) under nitrogen starvation or high light is correlated with that of astaxanthin esters // J. Phycol. 38. 325—31. 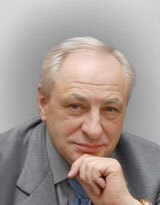 Соловченко А.Е., Мерзляк М.Н., Ч. О.Б., Решетникова И.В., Хозина-Голдберг И., Диди-Коэн Ш., Коэн Ц. Влияние освещенности и азотного голодания на рост и накопление арахидоновой кислоты у одноклеточной водоросли Parietochloris incisa. Вестник Московского университета. Серия 16. Биология. 2008;(1):49-53.